SplashEx® FetaMed's protective eye shields provides medical and dental professionals with safe, efficient and comfortable eye protection. For use in the Nursery, NICU, and PICU. The SplashEx® EyeShield™ line of products is available in a variety of packaging options to our customers' many needs. We strive to best provide cost-effectiveness and convenience to our customers! Our compact dispenser box, measuring only 9" x 3" x 7/8" contains 100 disposable, clear lenses and has been designed to best fit in a drawer or on a counter-top. 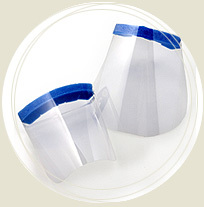 Designed as the "reusable" component of SplashEx® EyeShield™. Clean frames with disinfectant or sterilize for re-use. With the SplashEx® Neck Straps, you will never have to worry about misplacing your EyeShield™ again. The neck straps allow you to drape the EyeShield™ around your neck to keep it within reach at all times. They are colorful and lightweight and fits perfectly onto the ends of the EyeShield™ Frames. The SplashEx® Disposable FaceShield™ is a complete, one-piece, face shield that includes an optical-grade lens, foam headband, and adjustable elastic strap to ensure a comfortable fit. 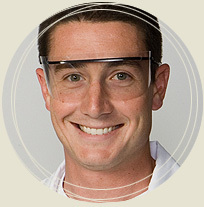 The reusable SplashEx® SideShield™ provides side-eye protection for wearers of prescription eyeglasses. 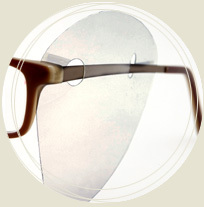 The Sideshield™ threads easily into existing eyewear and is conveniently packaged in reclosable bags.